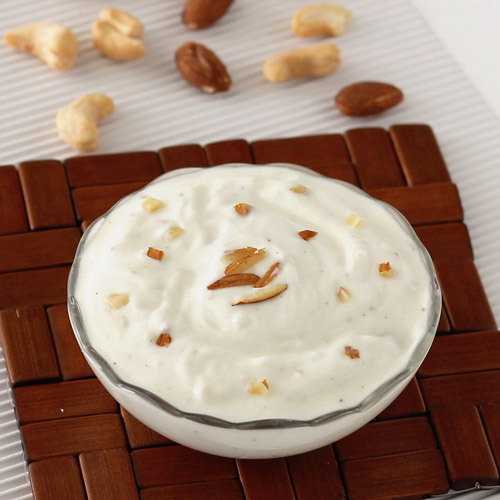 Shrikhand is a healthy Indian sweet made from strained curd (greek yogurt). Low fat, rich and creamy Greek yogurt shrikhand is generally flavored with saffron, cardamom or diced fruits and served with masala puri or as a standalone dessert. 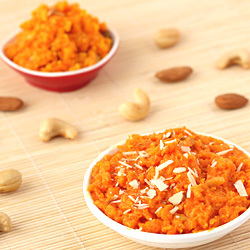 This Gujarati style recipe uses saffron and cardamom powder to get delicious and flavorful taste of a creamy dessert. 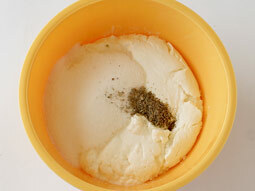 You can use either homemade curd (plain yogurt) or store bought curd according to the availability. Use the curd that is not sour otherwise, shrikhand will turn sour. Take a deep and broad bowl and place a large strainer on it. 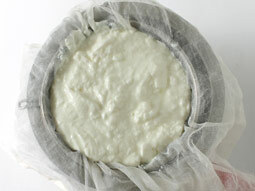 Spread a clean muslin cloth or a cheesecloth over it and add the plain curd in the center. Wrap the muslin cloth from all sides and tightly tie it. 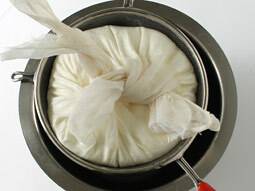 Hang curd in a refrigerator for around 6 to 7 hours or until almost water is drained off from the curd. 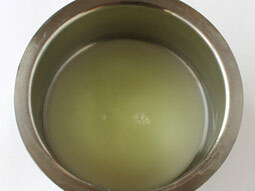 Place an empty container below it to collect the whey (drained curd liquid). Curd should become very thick. 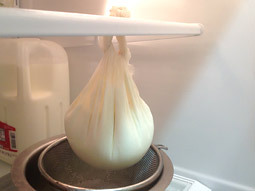 If it’s not possible to hang the curd in the refrigerator, keep the tied curd tied in a strainer and put a little weight over it. Keep an empty container below it and place in the refrigerator. 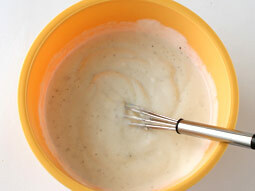 After 6-7 hours, untie the muslin cloth and transfer thick strained curd to a bowl. Discard the whey or use it to knead a chapti/paratha dough. Add powdered sugar and cardamom powder. Mix properly using a hand beater or a spoon until smooth. 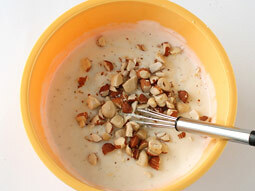 Add chopped almonds and cashew nuts and mix well. Refrigerate prepared shrikhand for at least an hour before serving. Serve it chilled. To make Kesar shrikhand, dissolve 7-8 saffron strands in 1-tablespoon warm milk, add and mix well in step-7. 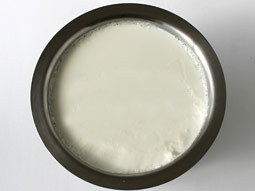 Use double toned or full cream milk to prepare curd. Alternatively, you can use store bought curd (yogurt). 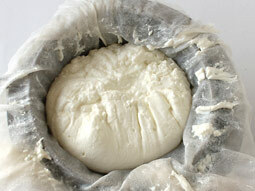 If you are in a hurry, use readymade Greek yogurt (chakka) and hang the curd for 2-3 hours only. Serving Ideas: Shrikhand – puri and potato sabji is one of the most popular lunch menu items in Gujarat and Maharashtra states of India. It is a delicious sweet that can be served alone to satisfy your sweet cravings. I was unaware of the fact that shrikhand can be so easily prepared. You made my Gudhipadwa celebration possible in Europe. Thanks. Thank you so much for ur recipes. So far I have tried only two from this site. They turned out very good. My question is how do we hang curd in refrigerator ? I have plain surface racks in fridge. Response: Hi Sarah, thank you for trying the recipes, glad to hear that they turned out very good. Place the tied muslin cloth in a large strainer and keep an empty container below it. Nice and easy way to prepare. I was wondering, why I can't make it from paneer.